Tito’s Handmade Vodka expects 2019 to be Tito’s breakout year, Managing Director International John McDonnell tells TMI. “I have high expectations, both in duty free and domestically outside the United States. I feel like this fifth year of Tito’s global expansion is the tipping point, as we are starting to see traction in some of the international domestic markets,” says McDonnell. In 2018 Tito’s once again recorded high double-digit sales growth across duty free in the Americas, by ramping up visibility in airports and border stores and escalating activity with leading cruise lines. 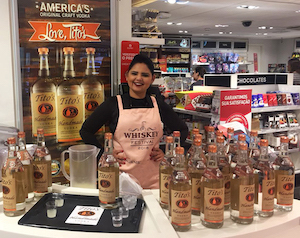 Tito’s Vodka’s presence was heightened with permanent displays and wall bays at four top airports in the U.S., including Philadelphia, Newark, Orlando and New York, as well as a store-front takeover at Boston Logan International Airport during the holiday season. Permanent displays were also installed at airports in Cozumel, Mexico and Ottawa, Canada. To achieve the ambitious growth targets set for 2019, Tito’s presence in airports will be intensified further with more permanent displays and increased availability of Tito’s eight bottle range, which will reduce the impact of the out of stock issue, resulting from high consumer demand. “One extremely important focus for the growth of the brand is to get a smaller size format in with these duty free operators. Customers like Dufry in the Americas and International Shoppes see the value in carrying multiple formats of Tito’s,” says McDonnell. South America duty free also posted strong growth, partly due to Tito’s’ roll out with Dufry into airports in Brazil, Argentina, Peru and Chile and the supporting sampling programs. Tito’s expects these markets to grow strongly in 2019 as brand awareness grows in the domestic markets. 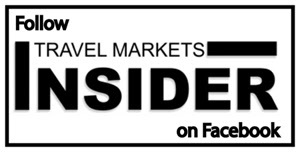 In the cruise market, with partners including Celebrity, Royal Caribbean Cruises, Norwegian Cruise Line, Carnival Cruise Line and Disney Cruise Line, Tito’s has increased visibility substantially, with more back bar placements, new cocktail listings and standout retail promotions. In Orlando Tito’s will once again have a Tito’s craft cocktail bar. At Booth 1, positioned just inside the exhibition entrance the bar, invites visitors to discover the history of the brand and will give them the chance to taste the craft vodka in a variety of cocktails. All exhibition visitors are invited to Tito’s Happy Hour on March 25-26, 5-7pm. Philanthropy and charity are important parts of Tito’s business that are instilled in the company from its founder Bert “Tito” Beveridge, says McDonnell. “Tito says ‘We’re a philanthropic company that happens to make vodka.’ Tito believes in giving back. This is part of the company fabric,” he explains. In December 2018, for the second year in a row, Tito’s teamed up with DFA for a special promotion where for every bottle of Tito’s sold, a dollar was donated to the Children’s Tumor Foundation, DFA’s charity of choice. Tito’s donated $25,000 in total through the Falic Foundation. Tito’s is also working with its distributor in St. Kitts to raise money to build a dog shelter.